The morning after the Manchester Arena bomb an image of one girl filled the front pages of almost every newspaper. Her name is Eve Senior. She’s 14 but looks older in the photo – she had dressed up and done her make-up to go to the Ariana Grande concert. She was a few metres from Salman Abedi when he detonated his suicide bomb, killing 22 people. In the picture, half her jeans had been cut off by paramedics and she needed help to walk because of 14 shrapnel wounds she had suffered. Once at hospital medics operated to remove the lumps of metal from her legs. For many people the photograph conveyed the awful reality of the attack. 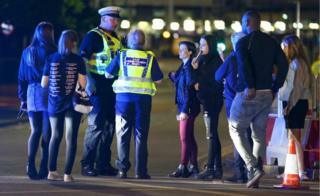 An attack targeting a concert packed with children. But another image that has stayed with me is of Eve’s younger sister. 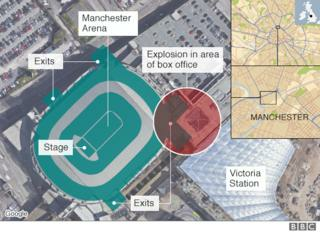 On the night of the bomb I watched as 11-year-old Emilia was scooped up by her father and carried away from the arena. She is too tall for her dad to carry very far. But he tried. Once through the police cordon she was hugged and kissed by her grandparents. I heard her quietly say to them that she was one of the lucky ones. That night, Emilia told me they had been leaving the concert when the bomb went off. She was remarkably calm and articulate. But looking back at footage of that interview now, you can see the fear. Four weeks later, I met Emilia again at her home near Bradford, West Yorkshire. She told me that as she left Manchester Arena on the night of the bomb she was convinced her big sister was dying. This was also the first time I met Eve. She was still struggling to walk because of the shrapnel wounds and nerve damage. As a teenage girl and talented dancer, the way her legs looked and worked was important to her. She had been told she still had months of physiotherapy ahead of her and doctors had mentioned the possibility of plastic surgery. Her parents Andrew and Natalie told me Eve had good days and bad days. The bad days were really tough. Emilia’s hearing in one ear was damaged by the blast, but she escaped any other physical injuries. Her parents’ main concern was about the psychological impact. As she talked to me about the way her mind played and replayed what she saw that night, it became clear why. “I see all of it. I see the flashing lights of the explosion,” she said. Her father was sitting quietly next to her, taking in what she was saying. By early July, when I next met the family, Emilia had turned 12 and Eve was walking without crutches. I went with them to their local hospital where Eve and her mother had a physiotherapy session. They had made huge progress, but for Eve it wasn’t fast enough. For her mother, each physiotherapy session had been a reminder of how far they had come. They had been for days out together and one of their outings was to Manchester. Like other survivors, the family had been offered the chance to visit the arena before its scheduled reopening. They had doubts in the days before the visit. The girls’ parents hoped it would help them move forward, but feared the girls would find it totally overwhelming. In the end it did help. It helped them fill in the gaps and get a better sense of what happened. They calculated that Eve was 5m from Abedi when he detonated the bomb. Her mother said that for weeks after the attack she’d pictured the Arena foyer as a cold and frightening place. But going back changed that. “It was as if you were going back somewhere where you found a bit of peace,” she said. Eve’s face lit up when she talked about the staff at Manchester Children’s Hospital. “Before Manchester I had no idea what I wanted to be when I grow up,” she said. Emilia has also found ways to cope. As her mother and sister worked out at their physio session, she chatted to me while colouring-in. It is easy to forget how young she is. Her colouring book reminded me. She told me her trauma counsellor had suggested colouring as way to block out the images that had been filling her mind. Remarkably, she said she did not hate the man who carried out the attack. 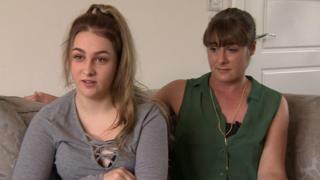 This family is one of hundreds deeply and permanently affected by the Manchester attack. But despite all they have been through, they still regard themselves as the lucky ones. 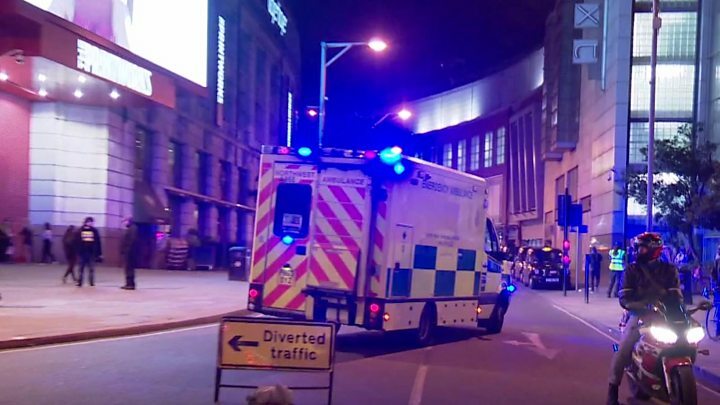 Alongside hospital appointments and counselling sessions, they have found the time to hold fundraising events for the Manchester Emergency Fund and Victim Support. Mr Senior told me he constantly thinks about the fathers whose children did not survive. Inside Out North West is at 19:30 BST on BBC One in the North West and later on BBC iPlayer for 30 days.